If you are a YouTuber, you too may be interested in using vidIQ which is a tool that provides analytics for your YouTube channel. It is FREE to sign up and use the Basic plan. I heard a lot of good things about vidIQ, so I was very eager to sign up to use the service. I am glad I signed up, because I am very impressed with vidIQ. It is worth noting, however, that I tried to sign up on their website several times, but I kept getting a reCAPTCHA error message–even though there was no way for me to enter any information for validation. I tried signing up from my mobile phone and my laptop, but I kept encountering the same problem. I was eventually able to sign up on my laptop using the registration form on their app sub domain (https://app.vidiq.com). After signing up, I was asked to authenticate my channel, which by the way can be found, here: https://www.youtube.com/suavington. To start the authentication process, I had to sign in with my Google account and grant the app certain permissions. On its welcome page, vidIQ explains that authentication could take up to 24 hours. After signing in with Google, I noticed that the vidIQ dashboard did not have any data pertaining to my channel. In the Analytics section of the dashboard there was “[n]ot enough data yet to display a chart,” but, as explained below, it seems that was due to an error on my part. By the way, let me digress to make a couple points: First, my YouTube channel recently hit the 10,000-view milestone a couple of days ago, and I welcome any tips for increasing my channel’s viewership. Second, 4,000 hours translates into a lot of required views–240,000 views to be exact. Okay, now back to my getting started with vidIQ. When I first accessed the dashboard my channel data was not available, but there was a notification icon in the header indicating that I should install vidIQ’s chrome extension. I installed the extension, and a small “IQ” icon appeared to the left of my Google profile icon. Clicking the IQ icon reveals a menu that lists several nifty YouTube and vidIQ shortcuts. After well over 24 hours there was still no channel data in the dashboard, because I inadvertently connected my other channel, which has no data. I wish I could say that I figured it out myself, but I contacted vidIQ support and they explained what I did and shared a vidIQ technical article on how to remove a channel and add another one. So, I removed the wrong channel (a channel that bears my name, and does not have any videos), and added the Suavington channel. And the channel data appeared instantly. I enthusiastically watched the video, reviewed the data in the dashboard, and explored the extension’s functionality. After that, I felt that I was really getting started with vidIQ. Now, let me talk about the plans. There are 3 plans: Basic, Pro, and Boost. As mentioned above, the Basic plan is free. It is designed for people who are starting out on YouTube, and it allows you to see tags for videos. It gives users access to, well, basic versions of the app and Chrome extension. At the time of this writing, the Pro version costs $10 per month (or $7.50 per month, billed yearly), and the Boost plan costs $49 per month ($39 per month, billed yearly). Basically, the Pro plan gives its users access to social and historical data, and the Boost plan helps users increase their views with SEO and analytics–and syndicate videos to Facebook. For more information, you should check out the information about the vidIQ plans. I am not going to go into the details about the dashboard and Chrome extension, as I am still exploring their features. However, I want to touch on a few things. Under the “YouTube SEO” section of the dashboard it shows the number of YouTube views, the number of views from YouTube search, and views from suggested videos. The “YouTube Overview” section shows numbers relating to YouTube views, minutes watched, YouTube likes, subscribers gained and lost, and YouTube comments. The dashboard also reveals the views and watch times for your channel’s top videos and YouTube searches, and a section that shows trends with respect to your views, watch time, and search volume. The extension gives an overview of the views per hour, the total number of views, the duration of the video, and the vidIQ score for the video being watched. It also reveals the video’s social engagement rate and information about Twitter, Instagram, and Facebook followers. In addition, next to each video there is information displayed about the channel, including the channel country, total number of views, average daily views for the channel, total number of subscribers, average daily subscribers, and the number of subscribers gained in the last 30 days. 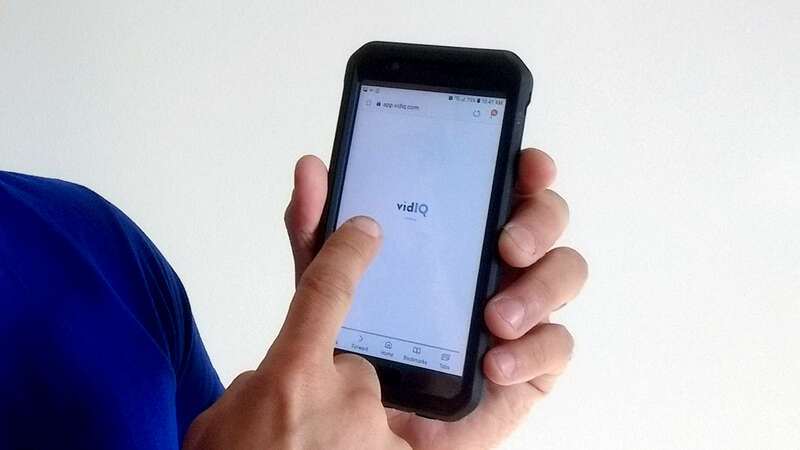 There are so many tools and features, and I am still learning about all vidIQ has to offer. I must say that I am thoroughly impressed with the depth and breadth of vidIQ’s analytic capabilities. I believe that this is going to be very useful to me for YouTube research and analysis. I am already thinking about upgrading to the Pro plan. Steven Rangel is a professional who currently resides in New York City with his wife.